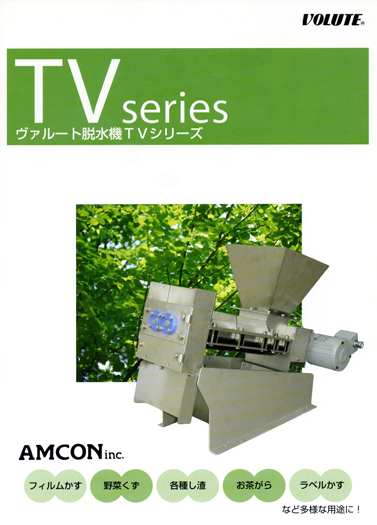 History of amcon | AMCON is the solution for sludge dewatering press and treatment. AMCON is the solution for sludge dewatering press, water quality testing, and building plumbing system maintenance. and making innovations to offer solutions to customers' problems. 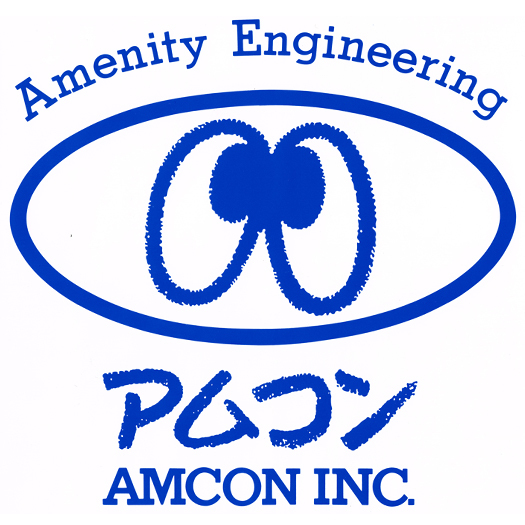 AMCON INC. was founded as Environmental Facility Center in Meguro, Tokyo in 1974. The center offered maintenance services for septic tanks, community wastewater treatment plants and other similar treatment facilities. While operating services, we acquired know-how about machine repair and wastewater treatment. Five years after the establishment, we launched measurement certification business that had been outsourced until then. Three years later, we developed and launched a belt-thickener used for sludge treatment at wastewater treatment facilities. We also launched a 24-hour remote monitoring service for water and sewage systems of residential and commercial buildings. 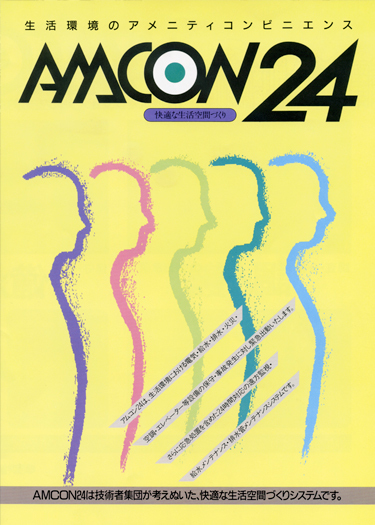 In 1987, the company changed its name to AMCON INC. 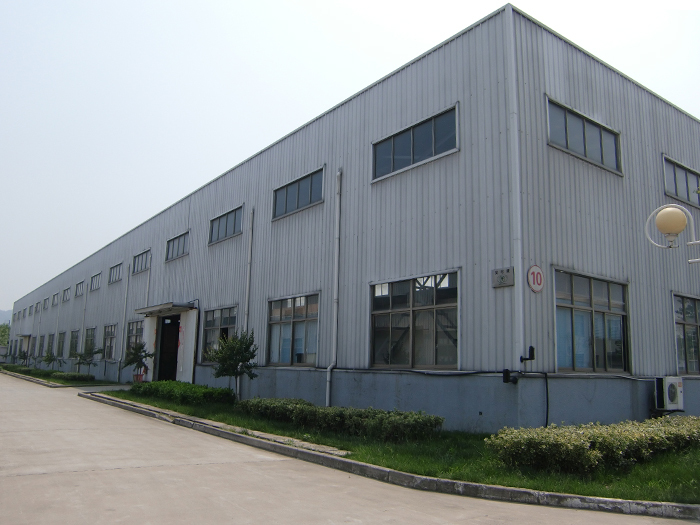 Since then, we have put effort into research and development of sludge treatment systems, aiming at establishing ourselves as a machine manufacturer. 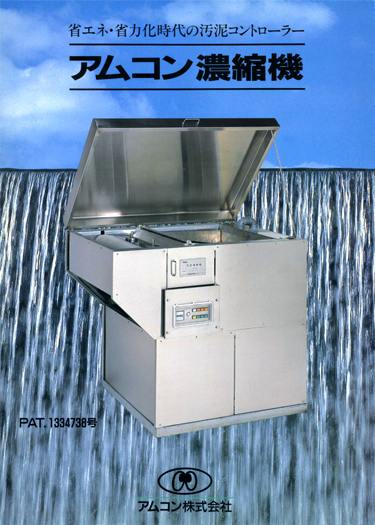 In 1991, we developed the VOLUTETM Dewatering Press, a system with an innovative structure. 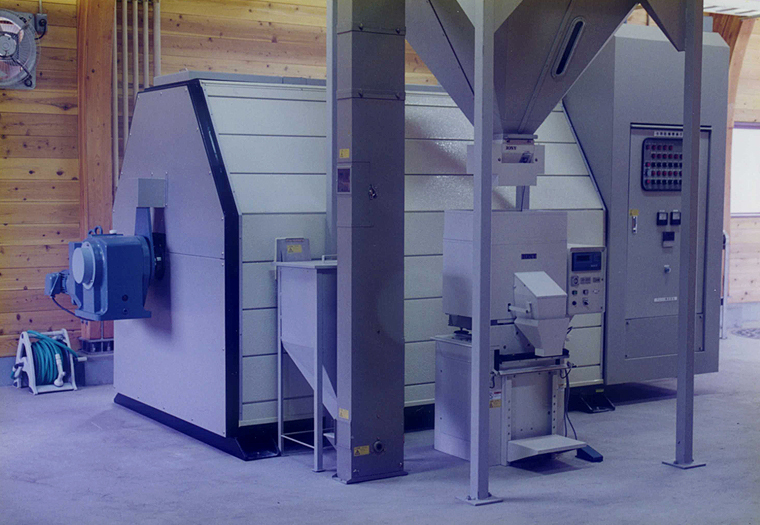 This product brought a new perspective to the sludge treatment industry. AMCON INC. will continue our efforts to tackle challenges and make innovations. “Solving our customers’ problems” is our watchword. 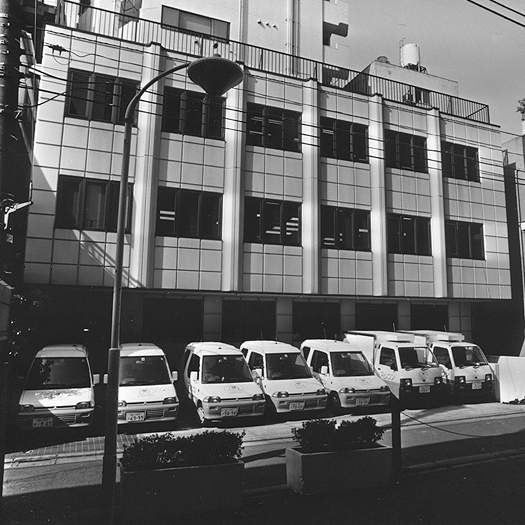 Environmental Facility Center was founded with a capital of 5 million yen. Set up the Institute of Technology. Launched measurement certification business. Launched a traveling dewatering service using a mobile dewatering press. 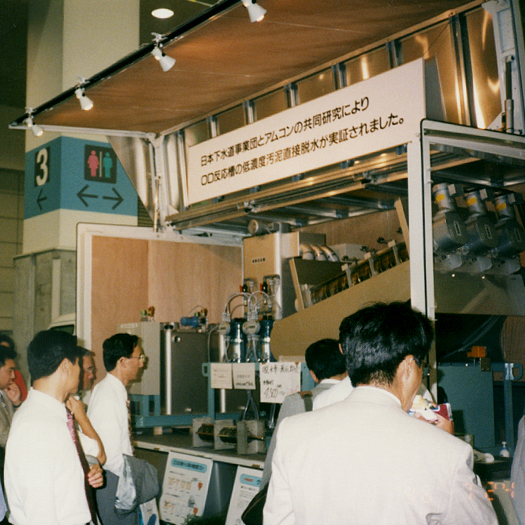 Set up the Machida plant in Tokyo. 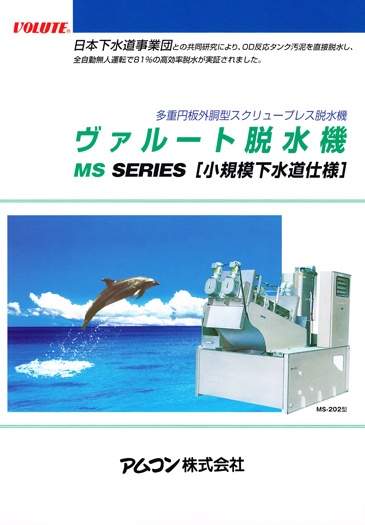 Launched the KM Series belt-thickener. Launched plumbing inspection business and pump business. 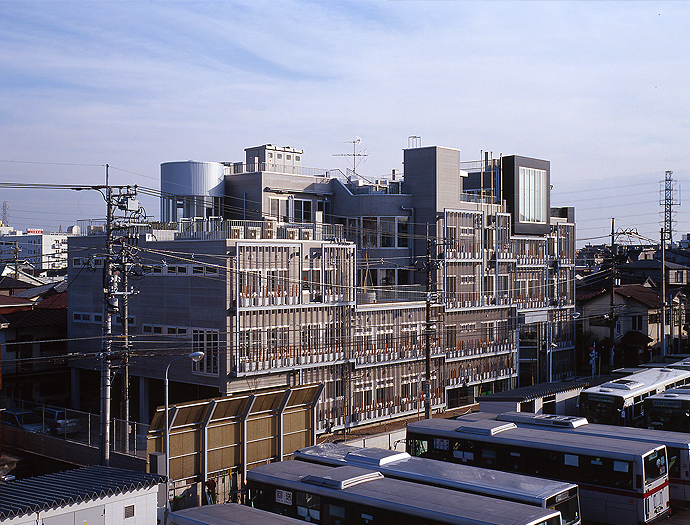 Built the headquarters building in Meguro. Launched a 24-hour remote monitoring service for building facilities. Launched maintenance business for fire equipment and air-conditioners. Changed name to AMCON INC. Launched the MS Series VOLUTETM Thickener and the VS Series VOLUTETM Dewatering Press. Launched new VOLUTETM Dewatering Press and Thickener. Launched Hybrid V polymer coagulant. Installed our sludge thickener at the Shojaku sewage plant in Suita, as the first machine sold to a government sector. Launched a pilot study of dewatering performance jointly with Japan Sewage Works Agency at the Toyota sewage treatment plant. Obtained a patent for VOLUTETM Dewatering Press in the US. Launched joint research with Japan Sewage Works Agency on direct dewatering of sludge from an oxidation ditch tank at the Shima water quality management center, Nakanojo Town, Gunma. Moved the Machida plant in Tokyo to Kohoku in Yokohama. 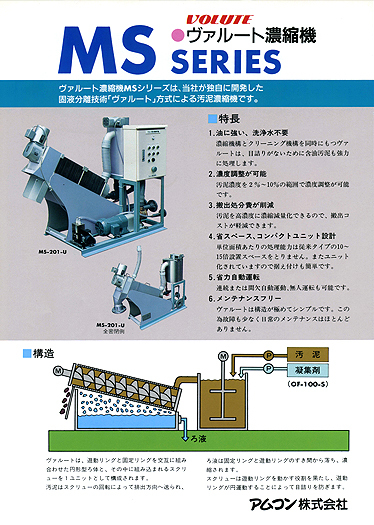 Obtained a patent for VOLUTETM Dewatering Press in Japan. Launched the MS Series VOLUTETM Dewatering Press for small-scale sewers. 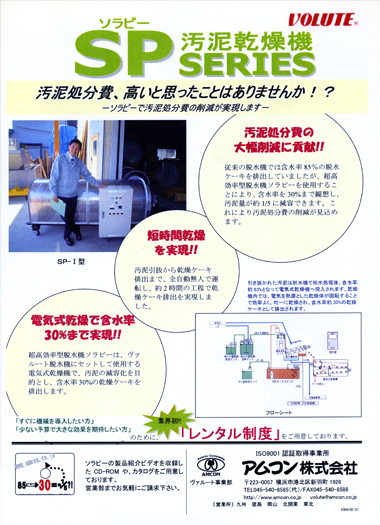 Our products were listed in Japan Sewage Works Agency's standard specification. Obtained ISO9001 certification (VOLUTETM Department). 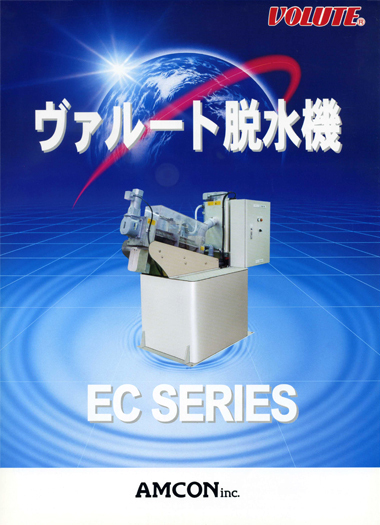 Launched the EC Series VOLUTETM Dewatering Press. 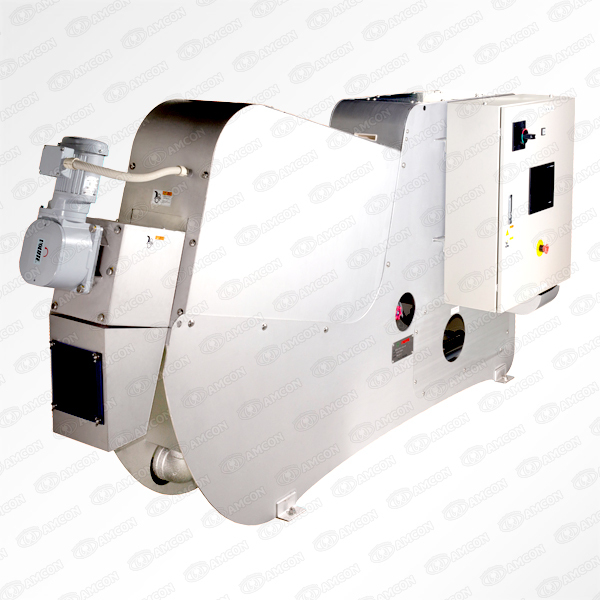 Launched the SP Series Solapy dryer. Built the headquarters building in Yokohama. 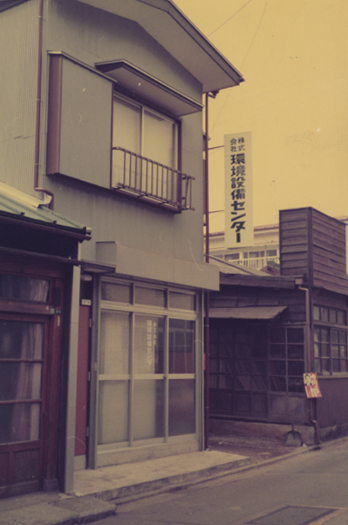 Moved the headquarters from Nakameguro in Tokyo to Kohoku in Yokohama. Launched the TV Series Twin VOLUTETM Dewatering Press. 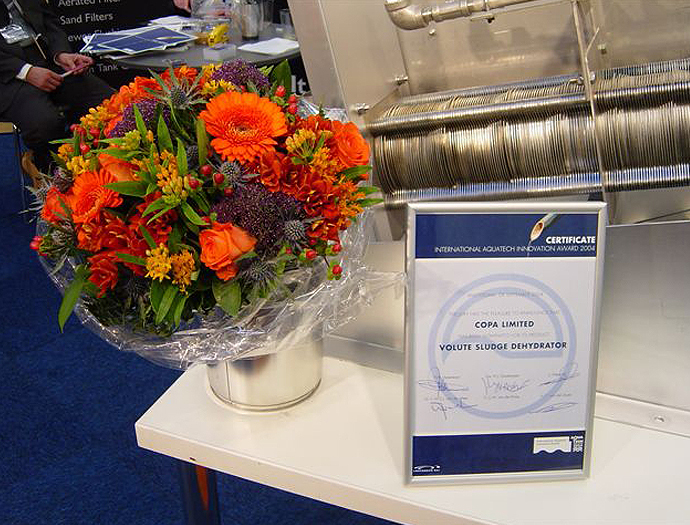 VOLUTETM Dewatering Press was nominated for the innovation award at Aquatech Amsterdam 2004. 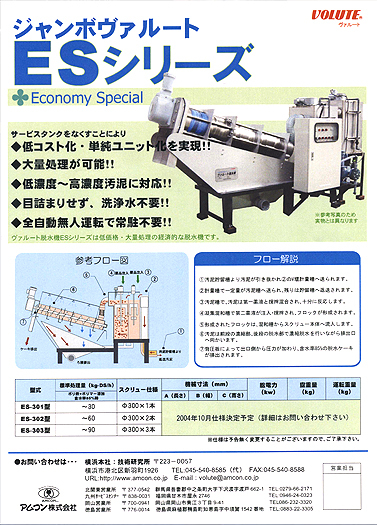 Launched the ES Series VOLUTETM Dewatering Press. 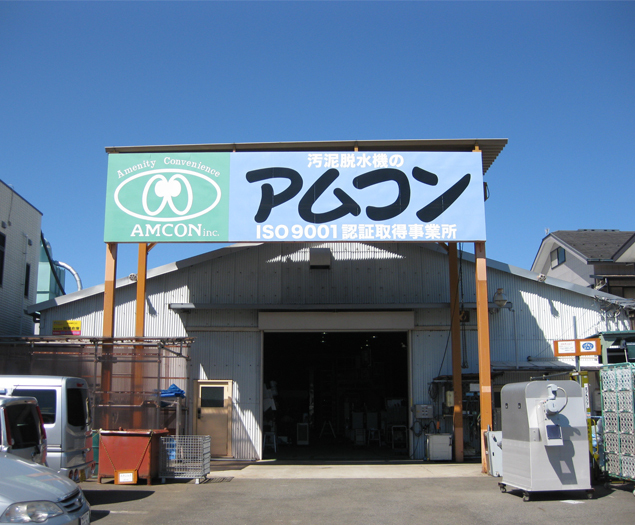 Established the US-based subsidiary company, AMCON NA, INC. 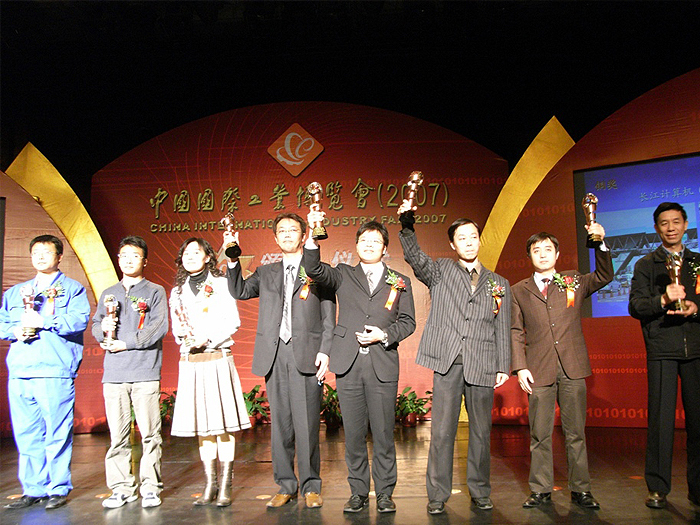 Established the China-based subsidiary company, AMCON (Yixing) Environmental Protection Science & Technology Co., Ltd.
VOLUTETM Dewatering Press won a bronze medal at 2007 China International Industry Fair. 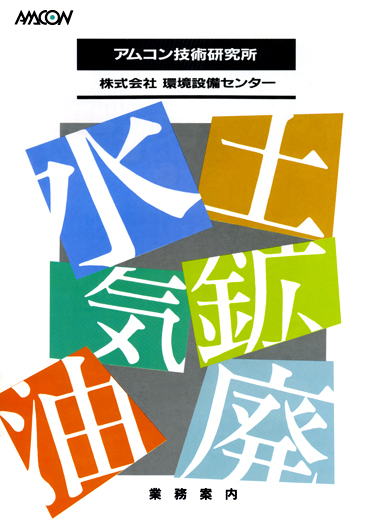 Set up "suisitubunseki.com," a specialized website on water quality analysis. 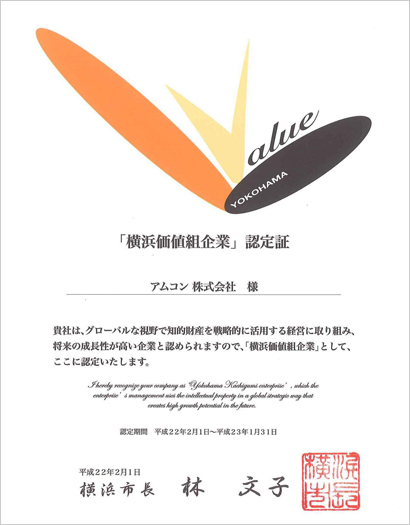 Certified as a "Yokohama Kachigumi Enterprise." 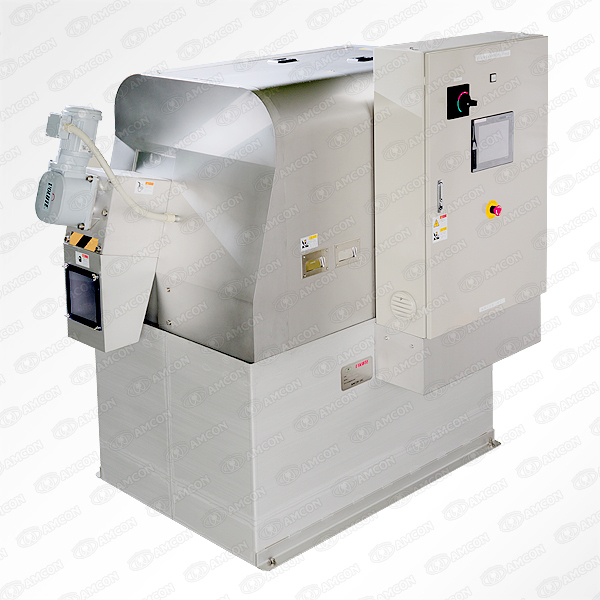 Launched the ES-350 Series VOLUTETM Dewatering Press. 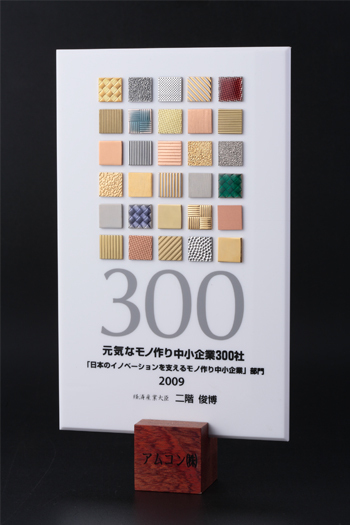 Included in Japan's 300 Vibrant Monozukuri (Manufacturing) SMEs by the Ministry of Economy, Trade and Industry of Japan. 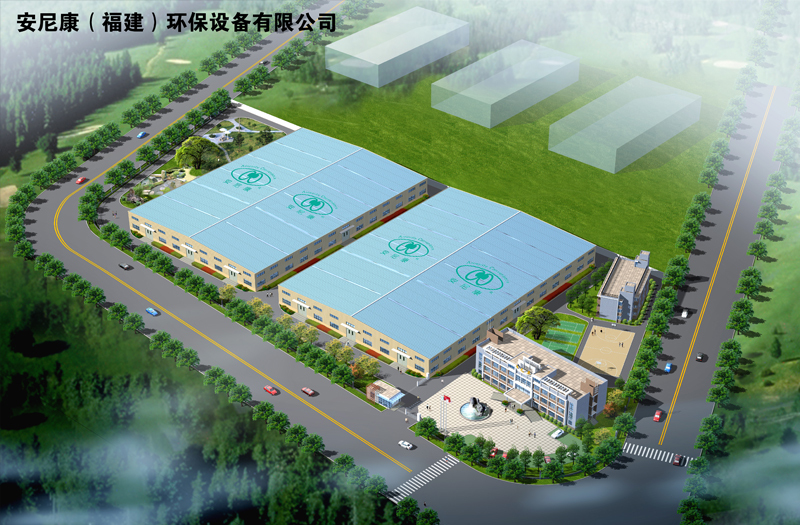 Established the second China-based subsidiary company, AMCON (Fujian) Environmental Protection Equipment Co., Ltd. 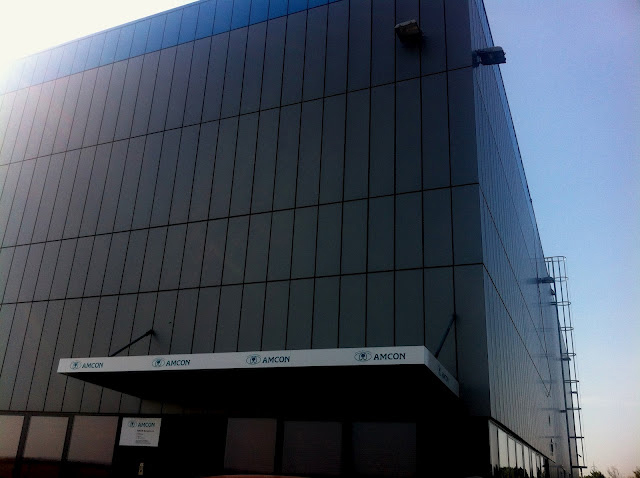 Established the European-based subsidiary company, AMCON Europe s.r.o. Launched the VDC Series VOLUTETM Dewatering Press. 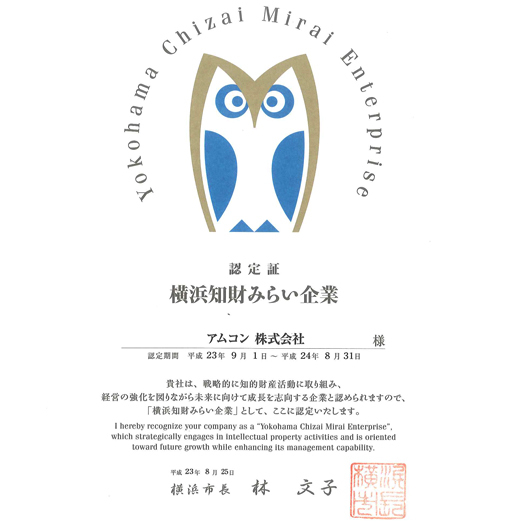 Certified as a "Yokohama Chizai Mirai Enterprise". Launched the VDS Series VOLUTETM Dewatering Press. 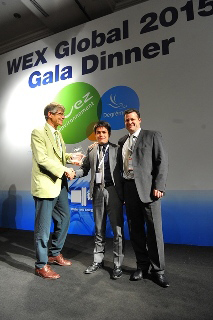 VOLUTETM Dewatering Press wins Innovation Award at "WEX Global Forum 2015"
Launched the AP Series Polymer Make-up System. Launched the GS Series VOLUTETM Dewatering Press. Launched the MV Series VOLUTETM Mobile Dewatering Truck. VOLUTE is a trademark of AMCON products. Copyright © 2013 AMCON INC. All rights reserved.